Liqui-Mark's pen clips have a self adhesive back and are a perfect accompaniment to any of our pens or fine tip markers. Great for attaching to memo boards or any other surface, Liqui-Mark pen clips are perfect for schools, businesses, hospitals and anywhere else a pen is used! 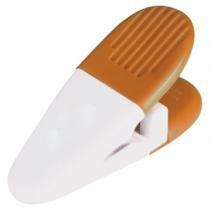 Pen Clip Dimensions: 1/2" Long Fits most pens with a diameter of 3/8" Packaging: Bulk, 300pcs/3 Lbs. Metal Carabiner Clip. 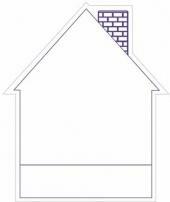 Imprint Area: 1 3/4" w x 3/16" H. Bulk Pack: 100 to a carton = 8 lbs. 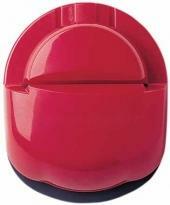 Tightly seals food bags or neatly organizes coupons and papers, as it sends a thoughtful message. Options: Magnetic backing, add $.12 each. Dimensions: 3 1/4" H x 3 3/8" W x 1 1/4" D Imprint Area: Front or Back: 2 1/8" H x 1 3/16" W Packaging: Individually poly-bagged. Shipping Info: Box Dimensions: 21" L x 19" W x 18" H Shipping Weight: 7.62 lbs / 100 pcs 400 pcs / box. 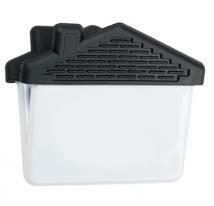 Ideal for keeping large pet food bags closed tightly. 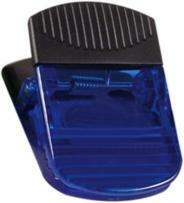 Features a patented design with sturdy gripper teeth and a durable internal metal spring. Options: Magnetic backing, add $.12 each. Dimensions: 2 1/2" H x 8" W x 1 1/8" D Imprint Area: Front or Back: 1/2" H x 7 1/2" W Packaging: Individually poly-bagged Shipping Info: Box Dimensions: 21" L x 19" W x 18" H Shipping Weight: 6.02 lbs / 100 pcs 400 pcs / box. Provides "paws-i-tive" name recognition, as it tightly seals food bags or neatly organizes coupons and papers. Options: Magnetic backing, add $.12 each. Dimensions: 3" H x 3 11/16" W x 1 1/4" D Imprint Area: Front or Back: 1" H x 1 1/8" W Inside Toes: 5/8" Diameter Outside Toes: 1/2" Diameter Packaging: Individually poly-bagged Shipping Info: Box Dimensions: 18" L x 18" W x 15" H Shipping Weight: 6.17 lbs / 100 pcs 400 pcs / box. Keeps snack bags tightly sealed. 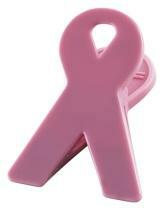 Ideal for breast cancer awareness, supporting U.S. troops and fundraising events. Options: Magnetic backing, add $.12 each. Imprint Area: Diagonal: 9/16" H x 2 3/8" W Secondary: 11/16" H x 1 1/16" W Back: 2 5/16" H x 1 1/8" W Packaging: Individually poly-bagged Shipping Info: Box Dimensions: 21" L x 19" W x 18" H Shipping Weight: 6.90 lbs / 100 pcs. 500 pcs / box. Keeps food bags freshly sealed and documents tightly grouped. Ideal for real estate agents, construction and food delivery companies. Magnetic backing, add $.12 each. Imprint Area: Front or Back (House): 1 1/8" H x 1 3/8" W Bottom Grip: 5/8" H x 3 5/8" W Packaging: Individually poly-bagged Shipping Info: Box Dimensions: 21" L x 19" W x 18" H Shipping Weight: 5.19 lbs / 100 pcs 500 pcs / box. 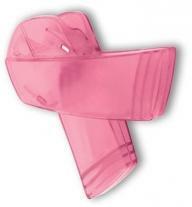 Oversized clip. Actual Size: 4-1/4"h x 3-1/8"w Imprint Area: 1"h x 2-1/2"w Packaging: Individually polybagged Shipping Weight: 10lbs per 250pcs. Square Shaped Document Holder. Features Weighted Square Base. Sturdy Wire Cable with Alligator Clip. Great for Displaying Photos Too! 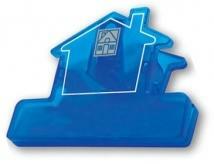 Material: Acrylic Product Dimensions: 7/8"W x 4 1/4"H x 7/8"D Imprint Dimensions: 1/2" sq. Please note: one color imprint only. Packaging: Polybag Wt./100: 25 lbs. 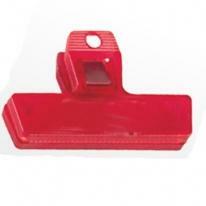 Strong Clip Easily holds notes and messages Size: 7/8� Square Imprint Area: 3/4� Square 500 Pcs. / 32 Lbs. Powerful built-in metal magnet. All the features of our popular K23 toughie bag clip plus a powerful, built-in, chrome magnet. Always in sight on the kitchen refrigerator, always ready on office files; seals bags, holds notes and performs double duty wherever used. 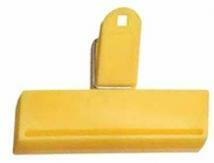 Non-rust construction, powerful jaws and attractive design combine to make this useful bag clip ideal for an advertising message. 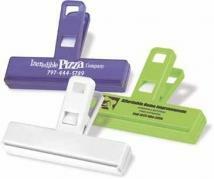 Material: Polystyrene Size: 3" x 2 1/4" Imprint Area: 7/16" x 2 1/2" Shipping: 21 lbs/500 pcs. Spring action clip. Seals items tightly. Actual size is 3-1/2"h x 6-1/4"w. Imprint Area: 5/8"h x 2-3/4"w either Side. Packaging: Bulk. Shipping Weight: 32 Shipping Quantity: 288. 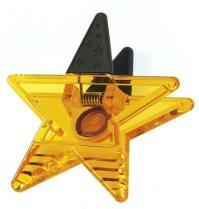 Magnet w/ Clip Star - .030 Thickness. 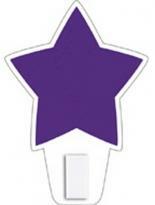 This star shaped magnet features a clip to hold important notes or coupons. 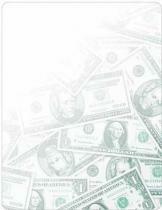 Add'l Color/Location: (250)$0.20, (500)$0.12, (1000)$0.08,(2500)$0.05,(5000)$0.04,(10000)$0.03 Approximate Dimensions: 4.09" H x 2.88" W.
When only the best will do. 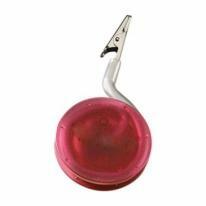 Two, front-side, copy locations, at no extra charge, add extra value to this stylish, kitchen necessity. 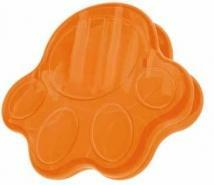 Molded in strong, attractive, dishwasher-safe, impact plastic with a tough, never-rust, plastic spring. "Tiger teeth" gripping edges for a lock-on seal that keeps freshness in, moisture out. Note: The two, front-side locations must be in the same imprint color. If the second-location color is different, add an additional-color imprint charge. Back-side copy is not available. Magnetic backing may be added for an additional $.30 each. Material: Impact Styrene Made In: China Size: 3 1/4" x 6" Imprint Area: Clip - 5/8" x 4 1/2", Handle - 1/2" x 5/8" Box Size: 22 x 13 x 13 Shipping: 18 lbs/200 pcs. 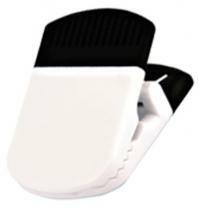 Double the imprint area of our original power clip! 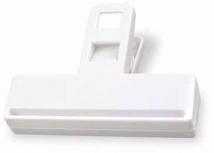 A hole in back handle for hanging on a non-metallic surface. Strong magnet for super holding power. Hundreds of uses. Real rubber handles for a great feel. 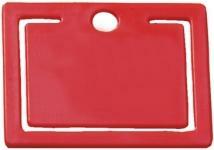 Add'l Color/Location: (250)$0.20, (500)$0.20, (1000)$0.20,(2500)$0.20,(5000)$0.20 Approximate Dimensions: 3" H x 2" W x 1.5" D Imprint Area: 1.38" H x 1.5" W. Weight: .14 lbs. 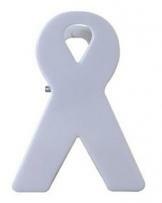 New unique ribbon shape Strong magnet for super holding power Hundreds of uses Great for cause marketing. Approximate Dimensions: 3.13" H x 2.31" W x 1.5" D Imprint Area: .5" H x .75" W. Packaging: 4(w) x 6(h) polybag Weight: .109 lbs. 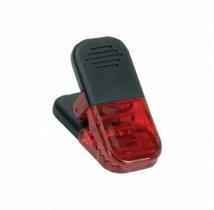 Transparent colored plastic memo clip. Finish/Material: Plastic Dimensions: 2" W x 4 1/2" H x 7/8" D Imprint Area: 1" W x 3/8" H Shipping Information: Carton Size: Box Length: 13.00 Box Width: 13.00 Box Height: 12.00 Standard Packaging: Polybag Carton Weight: 27lbs / 500pcs. Ideal for traveling business people. Convenient carrying case. Includes 10 paper clips, 8 tacks and 2 super clips. Fantastic gift for teachers. Size: W: 3" x H: 3" Imprint Size: Lid: 2" dia Packaging: Polybagged Ship Weight: 250 QTY/ 20 LBS Carton Size: 20x20x12. 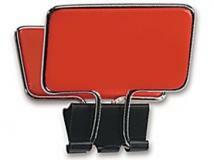 Ribbon Magnet Clip. 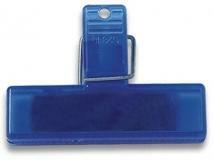 Size : 2 1/4" x 3 1/8"
A plastic eyeglass holder that clips on to most sun visors, pockets, bags or just about anything. A great summer / sunglass item. Size: 3"w x 1 1/8"h Imprint Area: 5/8"w x 1 1/2"h Carton Size: 17" height x 13" width x 17" length Carton Weight: 22 lbs/500 pc. New unique house shape Strong magnet for super holding power Hundreds of uses Real rubber handles for great feel. 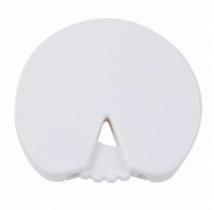 Approximate Dimensions: 2.5" H x 2.88" W x 1.38" D Imprint Area: 1.25" H x 2" W. Add'l Color/Location: (250)$0.20, (500)$0.20, (1000)$0.20,(2500)$0.20,(5000)$0.20 Packaging: 4(w) x 6(h) polybag Weight: .1 lbs. 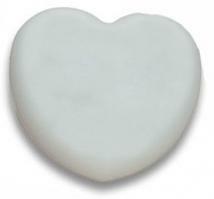 New unique heart shape. 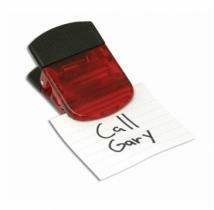 A strong magnet on the back of the clip allows for easy placement on metallic surfaces, keeping your important documents or notes highly visible and close at hand. Hundreds of uses. Real rubber handles for great feel. Add'l Color/Location: (250)$0.20, (500)$0.20, (1000)$0.20,(2500)$0.20,(5000)$0.20 Approximate Dimensions: 2.75" H x 2.75" W x 1.13" D Imprint Area: .63" H x 1.5" W. Packaging: 4(w) x 6(h) polybag Weight: .1 lbs. New unique star shape. Strong magnet for super holding power. Hundreds of uses. Real rubber handles for great feel. Add'l Color/Location: (250)$0.20, (500)$0.20, (1000)$0.20,(2500)$0.20,(5000)$0.20 Approximate Dimensions: 3.88" H x 3.5" W x 1.38" D Imprint Area: 1" H x 1" W. Packaging: 5(w) x 7(h) polybag Weight: .08 lbs. New unique apple shape. Strong magnet for super holding power. Hundreds of uses. Real rubber handles for great feel. Add'l Color/Location: (250)$0.20, (500)$0.20, (1000)$0.20,(2500)$0.20,(5000)$0.20 Approximate Dimensions: 2.88" H x 2.88" W x 1.25" D Imprint Area: .88" H x 1.5" W. Packaging: 4(w) x 6(h) polybag Weight: .109 lbs. New unique capsule shape. Strong magnet for super holding power. Hundreds of uses. Real rubber handles for great feel. 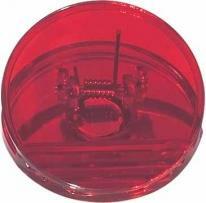 Add'l Color/Location: (250)$0.20, (500)$0.20, (1000)$0.20,(2500)$0.20,(5000)$0.20 Approximate Dimensions: 1.75" H x 3.25" W x 1.5" D Imprint Area: 1" H x 1.13" W. Packaging: 4(w) x 6(h) polybag Weight: .109 lbs. 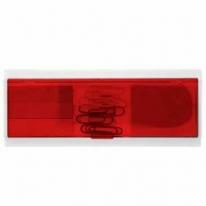 A 5 1/2" ruler with a carrying case built into the top containing 10 paper clips, 3 different colored sticky note strips (25 per color) and a mini sticky note pad (25 pieces). Size: 5 3/4"w x 2 3/8"h Imprint Area: 3"w x 1 1/4"h Carton Size: 8" height x 25" width x 15" length Carton Weight: 40 lbs/400 pcs. Unique Plastic Bag Clip to Keep Stubborn Bags Closed and Your Groceries Fresh. Great for Bread Bags. Material: Plastic Product Dimensions: 2" W x 2" H x 1/4" D Imprint Dimensions: 1 1/4"W x 1/2"H (front only) Second Side: $.35 per piece per color/position Packaging: Polybag Wt./100: 4 lbs. 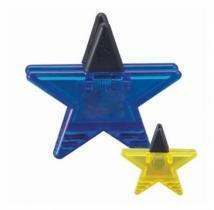 Durable Spring Loaded Plastic Star-Shaped Magnetic Clip. Features Ribbed "Teeth" For a Superior Hold. Extra Strong Magnetic Back. Rubber Grips. 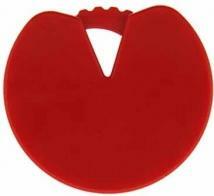 Material: Plastic Product Dimensions: 3 1/2"L x 3 1/2"H x 1 3/8"W Imprint Dimensions: 3/4" sq. Imprint Area: Front Packaging: Polybag Wt./100: 15 lbs. 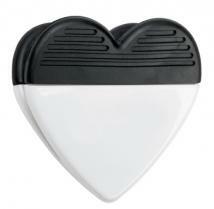 Durable Spring Loaded Plastic Heart-Shaped Magnetic Clip. Features Ribbed "Teeth" For a Superior Hold. Extra Strong Magnetic Back. Rubber Grips. 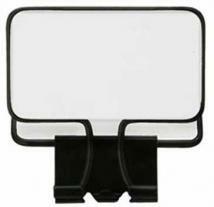 Material: Plastic Product Dimensions: 2 3/4"W x 2 3/4"H Imprint Dimensions: 1" Squared Packaging: Bulk pack Wt./100: 13 lbs. Have the original Memo-Mate!! Complete with a magnetic back, these memo mates hold messages in place while providing a place to hold your pen! Available in a variety of colors. (Pen not included). 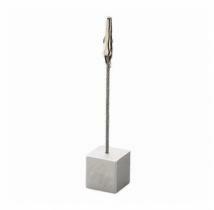 Approximate Dimensions: 2.25" H x 1.88" W x .75" D Imprint Area: .38" H x 1.25" W. Weight: .07 lbs. Featuring a removable adhesive backing, these memo mates allow a pen to snap into place on top, while holding notes at the bottom. Available in a variety of colors. (Pen not included) Approximate Dimensions: 2.5" H x 1.5" W x 1" D Imprint Area: .5" H x .81" W. Packaging: 4(w) x 6(h) polybag Weight: .03 lbs. Full color process imprinting on clip for great logo reproduction. 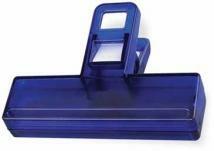 Durable doming protects your imprint Large clip opens to hold papers or photos. Strong magnetic back adheres well to metal surfaces. Great for offices or trade shows. Actual Size: 3-1/2" L Imprint Area: 3/4" H x 1-1/2" W Packaging: Bulk. Individually poly-bagged Shipping Weight: Approx. 31 lbs. per 250. 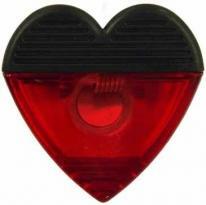 Classic magnetic clip in the shape of Heart. Imprint Area: Up to four colors. 1 1/4" diameter. - Please note: additional set up and run charges apply. Packaging/Product Size: Bulk Pack. Exclusive and colorful comfort-grip handles. A kitchen-enhancing bag clip with colorful rubber handle tips, providing non-slip control and attention-producing advertising. 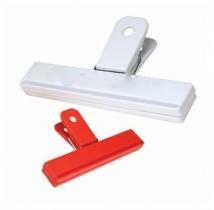 The tough, no-snag, high-tension, plastic spring will never rust. Powerful, 4" blades create a muscle-tight seal that keeps food fresh, moisture out. Note: Magnetic backing may be added for an additional $.20 each. Material: Impact Styrene Made In: China Size: 3" x 4" Imprint Area: 3/8" x 3 1/2" Box Size: 22 x 13 x 13 Shipping: 22 lbs/350 pcs. Lots of stock graphics to choose from. Removable adhesive on back. Pen and clip included, packed bulk. Approximate Dimensions: 11" H X 8.5" W. Available Design: Things to Do LM23FCA, Kids LM23FCAA, Calendar LM23FCB, Money 2 LM23FCBB, Pill Bottle LM23FCCC, Scales of Justice LM23FCDD, Hand & Footprints LM23FCE, Stethoscope LM23FCEE, Toothbrushes LM23FCFF, House LM23FCGG, Veterinary LM23FCHH, Money LM23FCJ, MilitaryLM23FCJJ, Daisies LM23FCK, Church LM23FCKK, Light Bulb LM23FCL, Sunset LM23FCM, Eagle & Flag LM23FCMM, Clouds LM23FCN, Stained Glass LM23FCNN, Computer Mouse LM23FCP, Schoolhouse LM23FCQ, Flowers LM23FCR, Classic Car LM23FCS, Service LM23FCSS, Snow Tree LM23FCT, Honey Do List LM23FCTT, Desert Moon LM23FCU, Cancer Awareness LM23FCUU, Crayons LM23FCV, Auto Service LM23FCW, Dinner LM23FCX, Gavel LM23FCY, Babysitter Notes LM23FCE. Weight: .056 lbs. 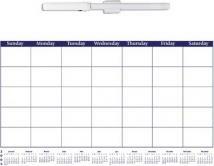 Calendar memo board with removable adhesive. Pen and clip included, bulk packed. Approximate Dimensions: 8.5" H X 11" W. Additional Color: (300)$0.20, (500)$0.12, (1,000)$0.08, (2,500)$0.50, (5,000)$0.04, (10,000)$0.03. Available design: Calendar LM09. Weight: .056 lbs. 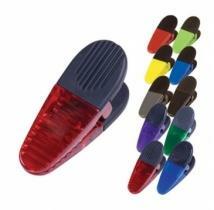 Durable Spring Loaded Translucent Colored Plastic Magnetic Clip. Features "Teeth" For a Superior Hold. Durable Rubber Grip. Extra Strong Magnetic Back. 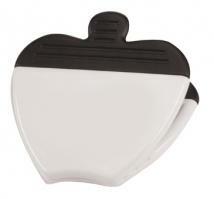 Ideal for Notes, Documents or Even to Seal Food Bags. 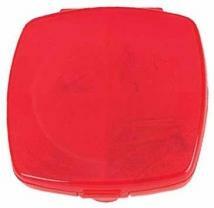 Material: Plastic Product Dimensions: 2"W x 2 7/8"H x 1 1/2"D Imprint Dimensions: 1 1/4" sq. Packaging: Polybag Wt./100: 15 lbs. 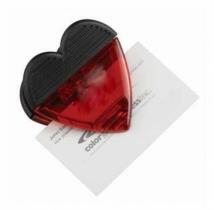 Large size for note pads or bags Comfortable rubber grip Powerful Magnet Large imprint area. 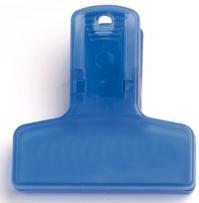 Size: 2" W x 2-7/8" H Imprint Area: 1-1/4" W x 1-1/4" H Packaging: Individually bagged. Weight: Approx. 15 lbs per 100 pcs. Things to do memo board with removable adhesive. Pen and clip included, packed bulk. Approximate Dimensions: 10" H X 4" W. Additional Color: (300)$0.20, (500)$0.12, (1,000)$0.08, (2,500)$0.50, (5,000)$0.04, (10,000)$0.03. Weight: .024 lbs. House memo board with removable adhesive. Pen and clip included, packed bulk. Approximate Dimensions: 10.44" H X 8.44" W. Additional Color: (250)$0.20, (500)$0.12, (1,000)$0.08, (2,500)$0.50, (5,000)$0.04, (10,000)$0.03. Weight: .053 lbs.